» Forum » Tech » Tech: Generic » What is the best way to fix a warped plastic? » What is the best way to fix a warped plastic? What is the best way to fix a warped plastic? Would heating it with hair blower and then putting a book on top work? has anyone tried this method, and how did it go? curious about wrecking the artwork somehow. These are pictures of the huge plastics on the Hercules I restored last year. One has already been flattened but was just as bad. My advice is be patient! I dont have a air gun like the video showed, i don't know if this piece of plastic i want fixed justifies going out and getting one. Do you think a hair dryer would work, maybe take longer to heat up the area? A few more of how bad they were. They didn't come out perfect but are ten times better than what you see here. 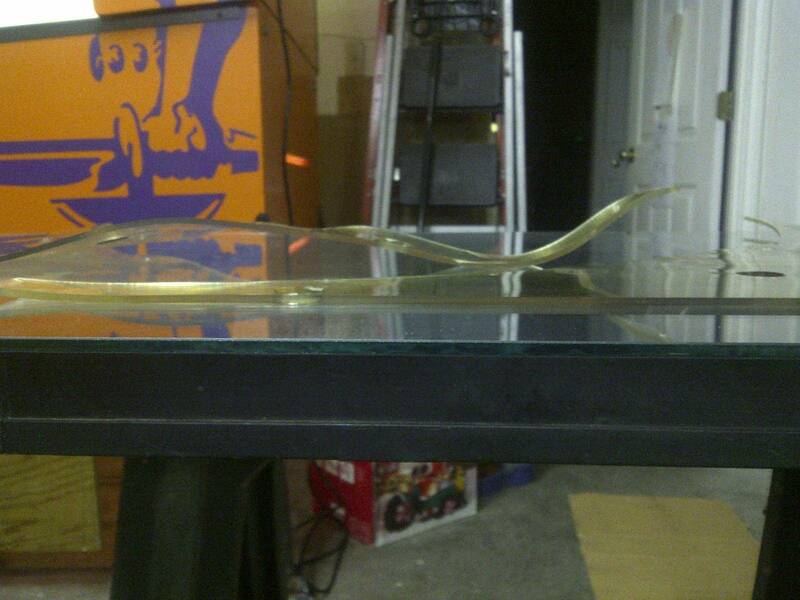 Warped plastics are very salvageable with that patience thing again. A hair dryer should work it will just take longer. The bigger the piece the harder it is to keep the heat consistent. You will learn to watch the plastic to know when it is ready to be reformed. Heat gun is good and you can see how it works in the video. If you have multiple plastics then I prefer the oven method since you can do a bunch at once. That will make the entire plastic dead flat since you are heating up the entire plastic and then flattening with weight on top and keeping the weight on it as it cools. I have never heard of this..is there a certain avg.temp that works best? You set the temperature to a very low setting. The plastics will soften and lay flat before the setpoint temperature is even reached, so that is why it's important to watch them the entire time and the pull once they go soft. I will have to check and see what temperature I used (it's low in the 185-225 range). Since you never reach the final temperature you want to pick something low that way it has a nice slow warm up. I use parchment paper to keep any debris from the cookie sheets from getting on my plastics. When they are done I pull them out of the oven, place another cookie sheet on top, and then add some weight (typically use four 30 packs of pop). The combo of heating the entire plastic plus using weight really does a great job. Plus you can knock out a bunch at one time. A variation on the heat gun method is to use 2 sheets of glass, place plastics on one sheet, heat them until they are soft, then place the other sheet on top, does an excellent job and is quite safe as long as you don't overheat the plastics. If you have enough direct sun, you can do this gradually outside, simply place the plastics between the sheets of glass, and let the sun do the rest!! 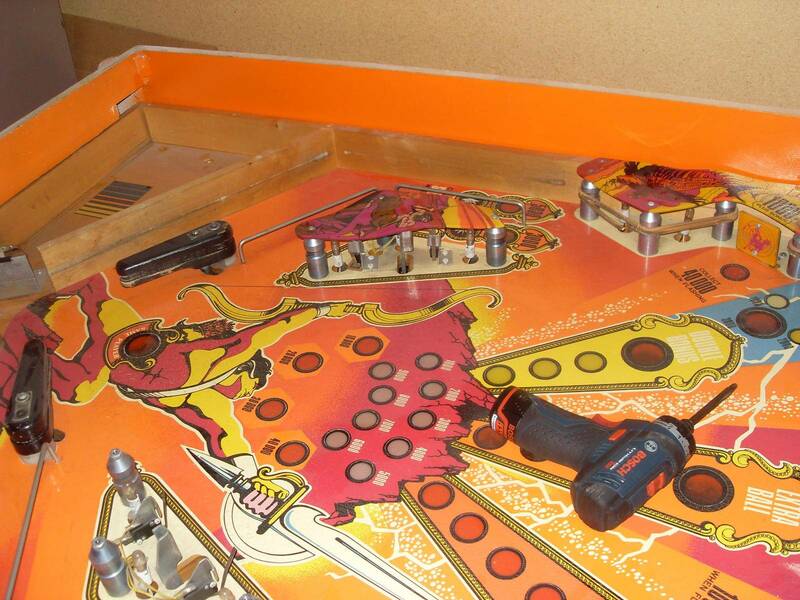 Couple of old sheets of scratched playfield glass works very well for the purpose! I've used the method that dgpinball mentions and had good results. I placed the glass in the back of my pickup on the black bed liner. A high wattage hairdryer will work just fine. I wouldnt put a book on top just for the fear of any texture from the book cover transferring over to the plastic. Just pop a piece of glass out of one of your picture frames and use that, assuming its not a huge plastic. The only danger would come from overheating them in the oven and as long as you keep an eye on them that won't happen either. Just make sure your plastic is clean and you are using clean surfaces and don't worry - its easy and safe. Believe it or not I once sandwiched a piece of warped plastic between two pieces of weighted glass and left it in the back of my car in August. It actually came out really good. Yup i wait till its about 95 out and sandwich the plastics between two glass sheets. I heat them above my electric cooker. I hold them with gloves on and can feel when they are weak enough. They warp a bit more, and then they go soft. Then between two pieces off glass. It's very important to let them cool for a long time, otherwise they will warp again. About an hour or longer. +1 This is the method I've used for years without any problems. 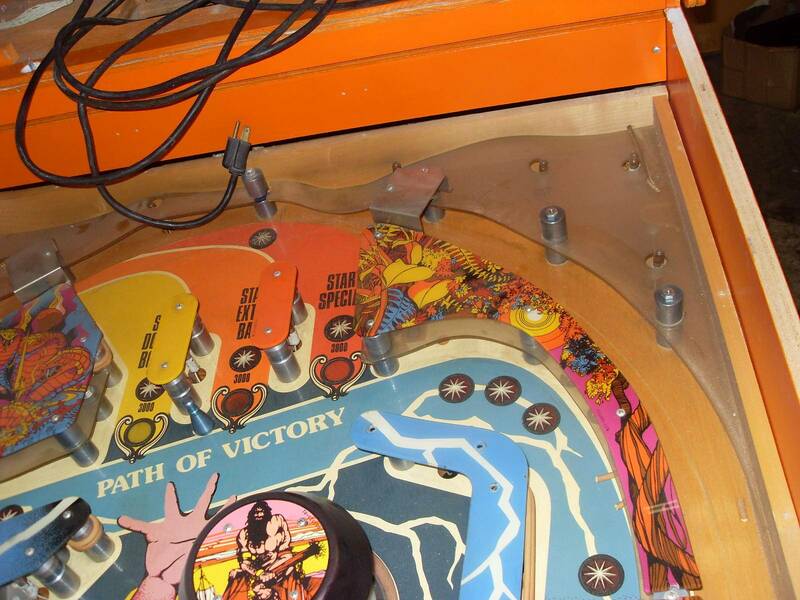 I've done both the 'between playfield glass' and putting them in an oven at low temps. 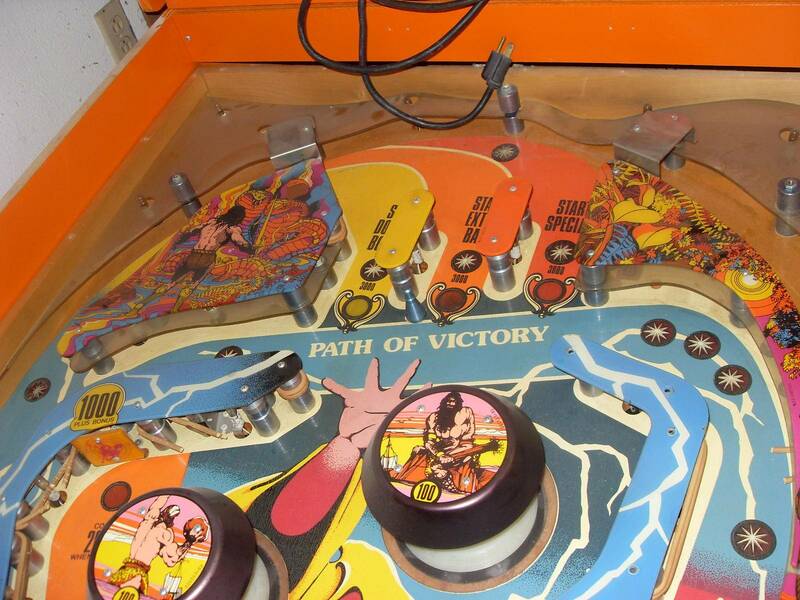 Both worked, but between playfield glass is definitely the way to go. Patience is the key. Do any of these methods help with the spider lines that appear when a screw is tightened too far? I use my hair dryer and two plates of play field glass. Works great, and i don't have to worry about melting plastics in the oven. Once you have it mastered, it doesn't take that long. By meythod, I meant method. So, how long do you need to hold hairdryer above playfield glass ? I have a very warped plastic that I would like to be flat! with the hot weather here, I put two sheets of PF glass in the back of the suv with the warp plastics between them. let them sit all day with the windows up so it gets hot in there. How hot does the outside temp need to be for this to work? If you have enough direct sun, you can do this gradually outside, simply place the plastics between the sheets of glass, and let the sun do the rest!! I have tried heat gun and sunlight. They both work well. Heat gun is faster but risky. Sunlight was nothing. I have a slate counter-top in my backyard. I placed the plastics on the slate and covered them with a single piece of glass. Left them for 10 hours or so. Came back and they were perfect. Try not to think of it as a 10 hour job, it's something you get for free while doing something else. My wife has a screen printing and embroidery shop with a big heat press and that works very well. Go to your local shirt shop and they can do it in minutes. Low heat sandwiched between two pieces of glass. If it gets to hot it will melt the plastic. Tried this on a big time warped plastic. Hairdryer with diffuser on top of the glass for 5 minutes. Then glass is very very hot. Put blanket and heavy book on top for around 4 hours. Really great result! Flat again. I flattened a couple plastics in my oven I went really slow as to not distort the plastics. Carefully and thoroughly cleaned the plastics with glass cleaner, then Novus 2 (optional based on how stained the plastic is), then Novus 1. Wife has a pizza stone which is very flat, ceramic surface. Laid down a layer of parchment paper to prevent abrasion. You will need another heavy item with a very flat surface. I used a cast iron pan with a very flat machined bottom. Preheated the oven to 150. Placed the plastics on the stone and parchment and in the oven. 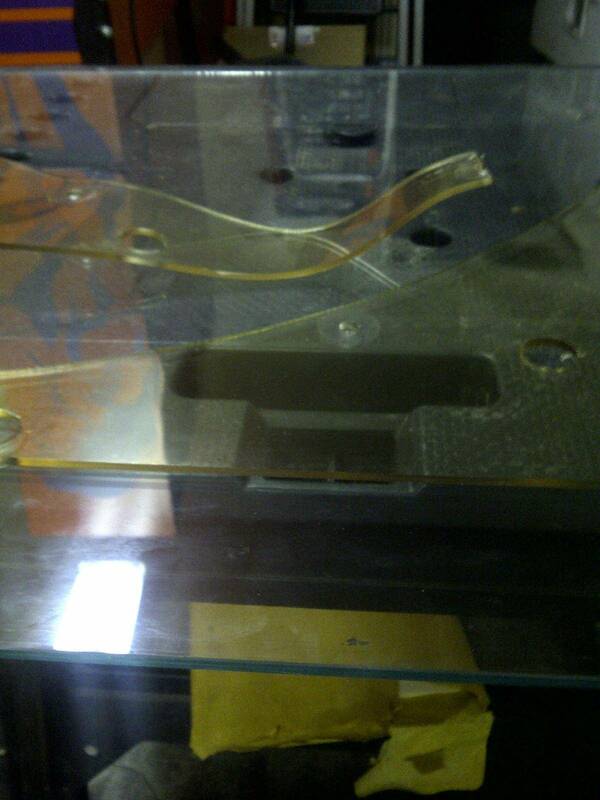 Monitored the plastics to get soft and pliable. This can take 20 or 30 minutes. THEY WILL NOT FLATTEN on their own at this temperature. What you are looking for is when you press on the raised part of the plastic, it bends and does not offer up much resistance. You may need to bump the temp up to 200 to get the plastic pliable. Again, the plastic will not go flat on its own at these temps. Once the plastic is pliable, remove from the oven, quickly place another layer of parchment paper on the top and place your heavy, flat item on the plastics while it cools. Leave the heavy item on the plastic until fully cool.